TreasuryONE said earlier that the expected credit rating from Moody's on Friday could see the rand change course. The rand closed at R14.41 to the greenback on Tuesday afternoon. The day's range was between R14.28 to R14.45. OVERVIEW: Treasuries fell and US stock index futures climbed on Tuesday as investor fears brought on by the inversion of a key part of the yield curve showed signs of ebbing. The dollar edged higher and European shares gained. The yield on benchmark US debt rose after closing below 2.4% on Monday, though the spread between three-month and 10-year rates remained in negative territory. Futures on the Dow Jones, Nasdaq and S&P 500 indexes all advanced, while a mixed day across sectors saw the Stoxx Europe 600 swing between gains and losses before rising. In Asia, Japan’s Topix Index jumped more than 2.5%, a day after it had its biggest slide this year. European bonds were mixed and range-bound and the euro was little changed against the greenback. Traders remain on edge following increased volatility at the end of last week after European data disappointed and the US yield curve inverted - a key recession indicator for many in the market. The outcome of trade talks between America and China and any developments in Britain’s tortuous exit of the European Union could help determine sentiment from here. “It’s premature to talk about the yield curve meaning that we have to go into recession,” Philip Wyatt, a Hong Kong-based economist for UBS Group AG, said on Bloomberg Television. “It’s possible for the long end to run too far, too fast,” he said of US Treasuries. Meanwhile, the pound nudged lower against the dollar after Prime Minister Theresa May lost control over the Brexit process thanks to a vote in the UK Parliament. Legislators could now push for alternative options, potentially including a second referendum, or even canceling Brexit. Elsewhere, oil rebounded as rising tension in Venezuela threatened to further curb supplies from the holder of the world’s largest crude reserves. Gold retreated for the first time in three days. Emerging-market currencies and shares were steady. Futures on the S&P 500 Index increased 0.2% as of 09:34 London time. The Stoxx Europe 600 Index gained 0.3%, the first advance in a week. The MSCI Asia Pacific Index climbed 1%, the largest increase in almost two weeks. The MSCI Emerging Market Index climbed 0.1%. The Bloomberg Dollar Spot Index jumped 0.1%. The euro was unchanged at $1.1312. The British pound dipped 0.1% to $1.3174. The Japanese yen fell 0.3%, the biggest fall in more than a week. The yield on 10-year Treasuries climbed four basis points to 2.44%, the biggest surge in more than three weeks. Germany’s 10-year yield increased one basis point to -0.03%, the first advance in a week. Britain’s 10-year yield climbed one basis point to 0.995%, the first advance in more than a week. The spread of Italy’s 10-year bonds over Germany’s declined one basis point to 2.5115 percentage points. 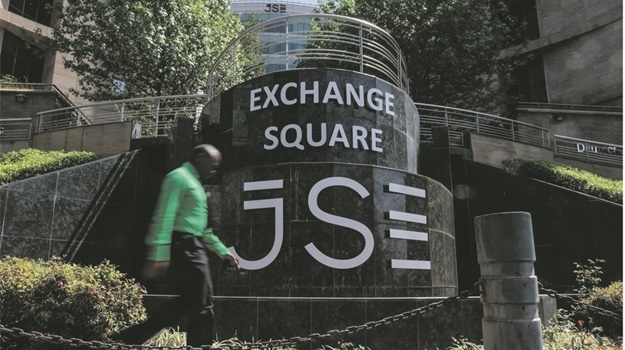 The rand rebounded in the overnight session as the dollar traded softer on fears of a US recession, said Peregrine Treasury Solutions's Bianca Botes. "In addition, a Reuters poll has indicated a shift in sentiment leading up to the Friday Moody's ratings announcement. Markets are displaying optimism, with a wide expectation that no downgrade can be expected at this stage. "For now, the lights remain on, providing some superficial calm. Housing starts are due from the US today, while the EU will see the release of German consumer sentiment indicator and French GDP figures. "The rand is on a fairly stable footing this morning, at R14.32/$, with an intraday range of R14.28 to R14.40 on the cards. The rand’s rally is, however, likely to be short lived." The rand was trading at R14.31 to the greenback at 09:51. Japanese stocks led gains in Asia and US futures advanced as investors digested the recession-risk signals emanating from US Treasuries that sparked a sell-off Friday. Japan’s Topix index rose more than 2%, though Korea’s benchmark was weighed down by a Samsung Electronics warning on memory-chip prices. Chinese shares declined and Hong Kong’s saw modest gains as did those in Australia. US Treasury yields edged up after a two-day tumble that saw 10-year rates drop below those on three-month bills. West Texas crude climbed above $59 a barrel, and the yen dipped as a risk-on tone took hold. “It’s premature to talk about the yield curve meaning that we have to go into recession,” Philip Wyatt, a Hong Kong-based economist for UBS Group AG, said on Bloomberg Television. “It is possible for the long end to run too far too fast,” he said of US Treasuries. The Federal Reserve’s pivot should allow Asian central banks space to aid growth, he also said. On Wall Street Monday, the S&P 500 Index closed little changed as homebuilders climbed thanks to reduced borrowing costs, but technology shares sank as investors took little encouragement from Apple’s new services offerings. Ten-year Treasury yields fell below 2.4% for the first time since December 2017, though rose back above that level Tuesday in Asia. Elsewhere, the pound was flat after Prime Minister Theresa May lost control over the Brexit process thanks to a vote in the UK Parliament. Legislators may now be able to demand that May pursues radical Plan B options, potentially including a second referendum, keeping Britain in the European Union’s customs union, or even canceling Brexit. Oil advanced for the first time in four days amid rising tensions in Venezuela that threatened to further curb supplies from the holder of the world’s largest crude reserves.